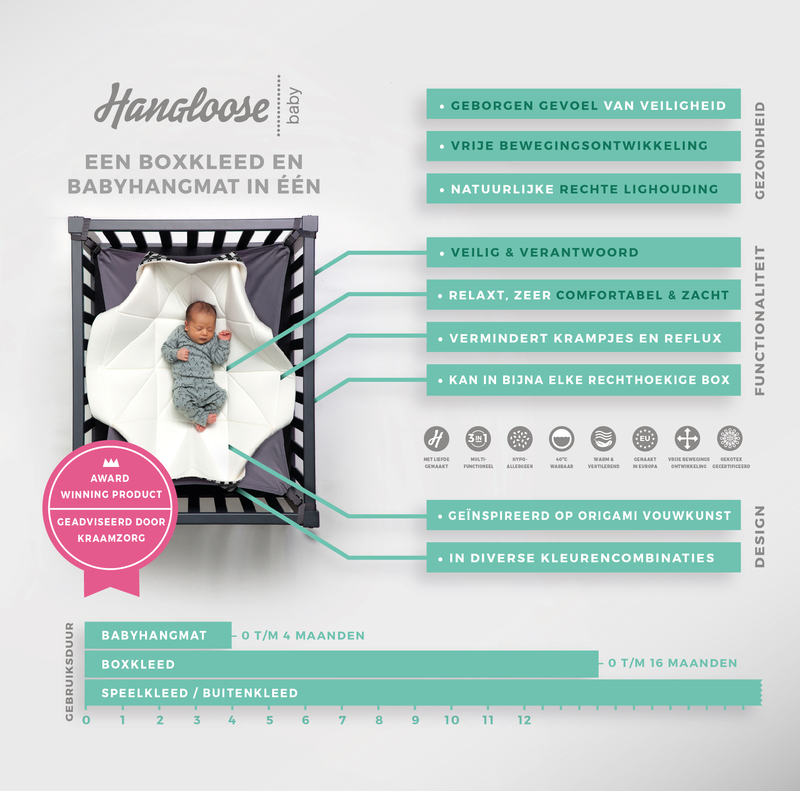 HANGLOOSE BABY IS A BABY HAMMOCK, PLAYPEN MAT AND PLAY AREA MAT IN ONE, DEVELOPED BY FIVE FATHERS FROM SCHEVENINGEN. IS SAFE AND SECURE WITH A SUPPORTED LYING POSITION! Keep an eye on our Facebook & instagram for more photos and news!